It was supposed to be a simple preventive excavation for the purpose of safeguarding the Palazzo Corsini, a late Baroque jewel in the heart of Trastevere. Instead, a Roman workshop of the third century was revealed, surrounded by brick walls, with a large kiln for firing ceramics. Dozens of oil amphorae have also been discovered. 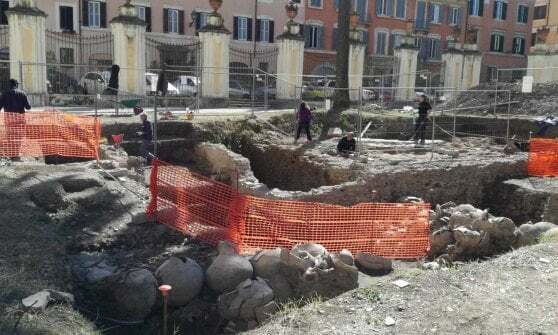 Located at a strategic point, near the Tiber, this area has remained incredibly intact over time, albeit just a few centimetres below the surface. 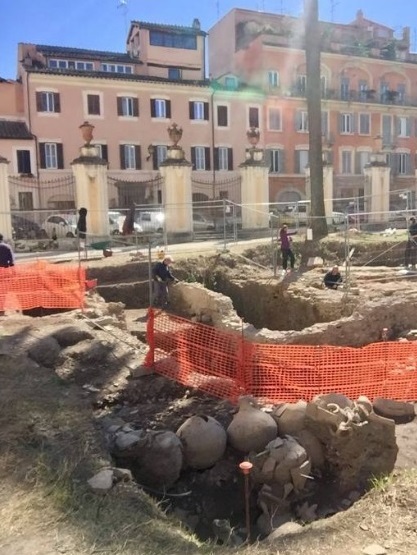 "This is a recent excavation that is about to be completed," revealed the Soprintendenza speciale, which is carrying out the work, directed by archaeologists Renato Sebastiani and Paola Fraiegari. "It will be presented between the end of this month and the beginning of April. It is a unique and important discovery". Archaeologists at the site point to the oil amphorae arranged in two rows. There are dozens of them almost completely intact and hundreds more reduced to fragments piled up in the dirt. They are Dressel 20 amphorae, used initially as storage containers, but often reused for draining and compacting the soil. An ingenious (and environmentally friendly) moisture insulation system, like the one found in 2007 under the General Markets at Ostiense. This theory is reinforced by the proximity to the river and by the presence of a brick channel and pavement. 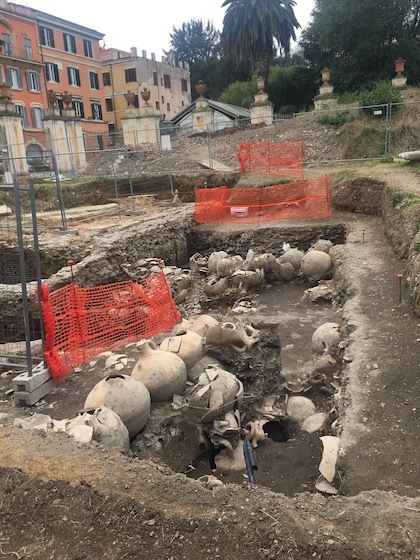 "It is a system for regulating the waters that flowed from the hill above the Gianicolo," explains the person responsible for the excavation, "while next to it there is a complex that is believed to have been used for firing ceramic material and glazing. This is confirmed by the presence of part of the top of the kiln with evident traces of exposure to strong heat." Some of the amphorae are stamped with the trademark C. Oppi Res, a reference to a large workshop of Roman times probably located on the Gianicolo. The proximity to the ancient Via Septimia, which in ancient times connected the Trastevere to the Vatican Hill, suggests a residential area of artisans teeming with life, set between the Porta Settimiana and the Horti di Gaeta, which extended on the eastern slopes of the hill. "The site is slated to be reburied", said the archaeologists.